At the Centeno-Schultz Clinic, we are frequently consulted for second opinions. 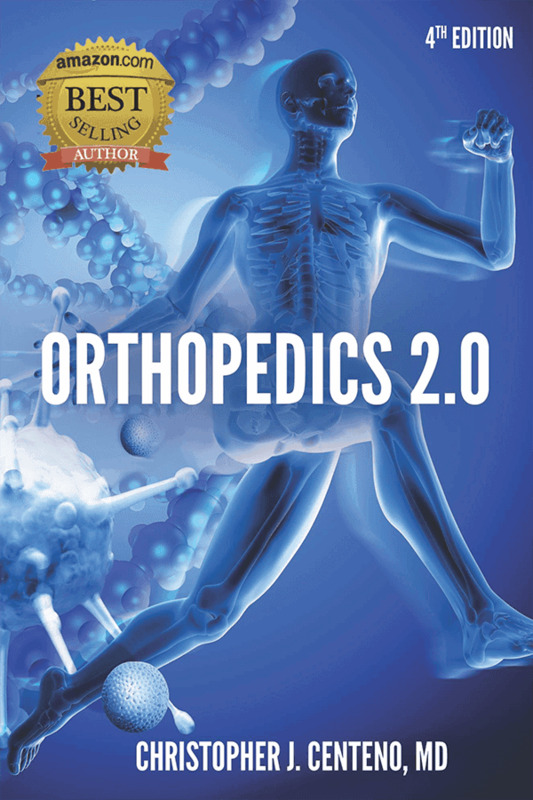 Patients and their physicians want us to dig deep and evaluate possible regenerative-treatment options. We take this seriously as we acknowledge the significant side effects associated with high-dose steroids and surgery. KD is a case in point. We evaluated him two weeks ago after he was referred to us by his chiropractor. KD is a 55-year-old CenturyLink lineman who presented with a four-month history of left leg pain that was constant in duration, 5 out of 10 in severity, and originating from the left lumbar area and extending down to the lateral aspect of the calf (as shown in the image to the right). He had numbness and tingling in all of the digits on his left foot. The onset of his pain was not associated with any trauma. Treatment to date had included chiropractic care, intramuscular steroid injection, and surgical consultation. In fact, KD was scheduled for a two-level lumbar fusion in two weeks as all other treatments had failed. Upon reviewing his lumbar spine MRI, it became apparent that in addition to his scoliosis and lumbar instability, he had a large lumbar disc protrusion that impinged upon the RIGHT L5 nerve. That is correct: the disc protrusion was right sided and impinged upon the right L5 nerve. KD and his wife were under the impression that the urgent lumbar surgery was to address the disc protrusion; however, all his symptoms and numbness involved the left side. The answer was slightly deeper. At the L4/5 disc level, there was a small disc injury, which together with his facet joint overgrowth resulted in the narrowing of the doorway through which the LEFT L4 nerve root exited the spinal column. This doorway is termed neural foramen. 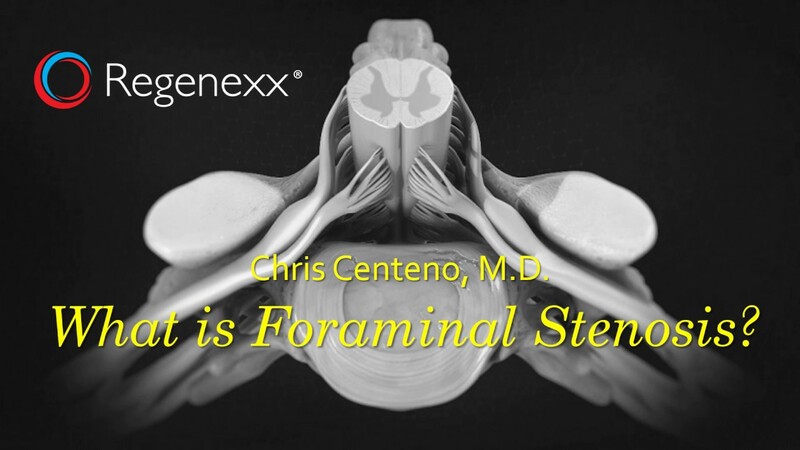 To learn more about foraminal stenosis, please review the video below. KD opted to cancel surgery and proceed with precise X-ray–guided epidural and facet injection of concentrated platelet lysate and platelets. 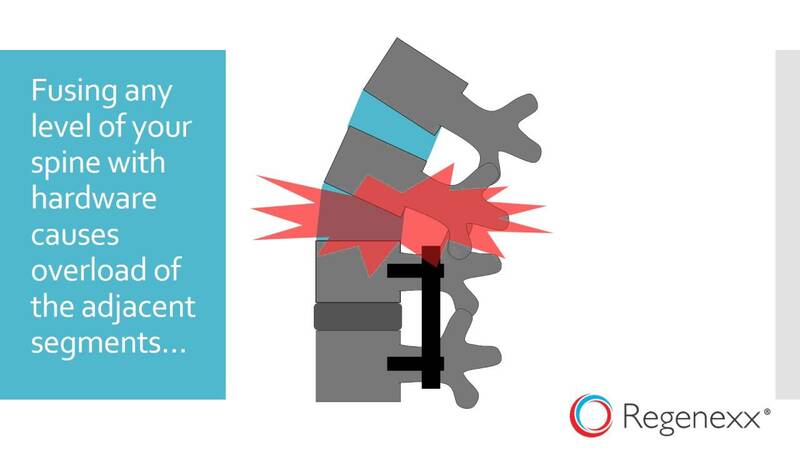 At the Centeno-Schultz Clinic, we acknowledge the spine as a functional unit and treat it accordingly. Three weeks post injection, KD reports a significant reduction in pain and improvement in his left lower-extremity numbness. He is thrilled as he is looking to retire at the end of 2018 and was dreading the risks associated with lumbar fusion, the time to rehabilitate, and the potential of developing adjacent segment disease (learn more about adjacent segment disease in the video below). If you have ongoing pain and dysfunction, the Centeno-Schultz Clinic offers board-certified, fellowship-trained physicians who will be thorough in their evaluation, review of imaging, and treatment plan. If you get anything less, your clinical outcome and future may be compromised.